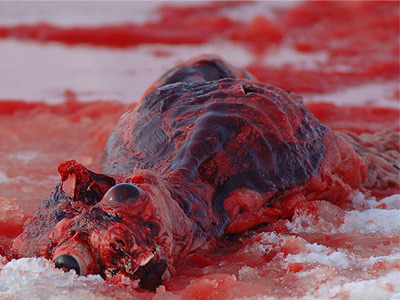 Every year at the end of March Slaughter of Baby Seals begins in Canada!! 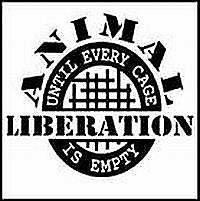 Pressure the Namibian government to end the slaughter forever. 20.01.2011 NOVA SCOTIA GREY SEALS BETRAYED BY PROVINCIAL GOVERNMENT YET AGAIN! 17.01.2011 Will China buy seals meat ??? 16.03.2010 Day of Action For Canadian Seals - Canada says "We'll hunt even more this year"
Every year in Canada baby harp seals are beaten to death so that they could be made into fur coats, collars, and cuffs. The Canadian government claims that hunters only kill adult seals, but 97 percent of the seals killed last years were less than 3 months of age. Most of these seals are too young to realize that they should try to escape when their killers approach. They lie totally vulnerable on the ice as their heads are bashed in with clubs. Many are dragged across the ice—still conscious—with boat hooks. Often these sensitive animals are skinned alive for their fur. Their bodies are left to rot on the ice because there is no market for their meat. Please urge Nova Scotia’s Minister of Tourism to stop this hunt immediately. In Namibia baby seals, still suckling mother's milk are clubbing every year. "Although terrestrial wildlife have over 100 million ha of land protected for them in southern Africa, Namibia’s seal population as a species, has effectively been reduced to just 500 m by 800m. 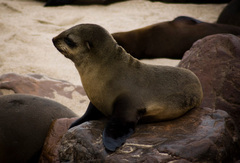 Ignoring the United States import ban on Cape fur seals in 1972, due to the cruelty involved in Namibia’s current sealing methods or that the world’s remaining sealing countries of Canada, Greenland, Norway and Russia banned the practice in their own sealing regulations in 1987, citing clubbing a nursing seal pup in a breeding colony to be cruel. Namibia prides itself that 90% of its sealing quota is nursing seal pup based, with regulations requiring sealers to beat less than one year old seal pups to death, as the only sealing method, and may not shoot them. With the Fisheries Minister Abraham Iyambo ignoring his own constitution which prevents a cull of its wildlife, as reducing a wild seal population is unconstitutional and who ignores his country’s own Animal Protection Act, which states beating an animal to death is a criminal offence. Equally disregarding that he has increased the seal cull quota, of over 800% from 9000 in 1990, to 85 000 seal pups. 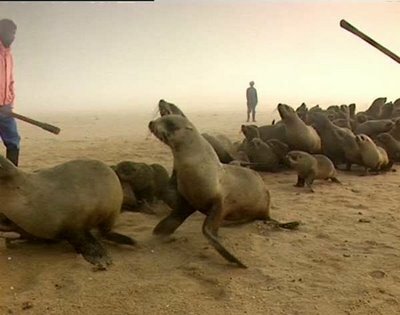 When in fact between 1994-2006, overfishing by the same Minister, saw the largest seal die-off from starvation ever recorded over several breeding seasons, effectively reducing Namibia’s seal population by half." "As Cape fur seals, are listed as an Appendix II endangered species in 1977, by the United Nations – Convention In Trade of Endangered Species (CITES), all exports/imports by the 173 countries, which includes Namibia, which are signatory to the CITES convention, are required to submits permits. These permits of exports/imports can be tracked on CITES database. In 2000, Namibia doubled its seal pup quota from 30 000 to 60 000, and yet sealers could harvest only 35 000. In 2006, the Minister increased the seal pup quota further by 30%, to 85 000 seal pups, and then acknowledging the seals were suffering the largest mass die-off from starvation every recorded in the world for any marine species, effectively reducing the seal population by half. Namibian sealers found only three buyers, and exported 13 550 skins to Greece, 15 177 to Norway and 17 813 Turkey. In 2007, Namibian sealers could only find buyers in just two countries, Greece 10 056 and Turkey 15 028. Between 2006 and 2007, Namibian seal skin exports declined from 46 540 to 25 084. In 2008, Namibian sealers could only find one buyer in one country, and exported 23 000 seal skins to Hatem Yavuz in Turkey. " "Canada's Department of Fisheries and Oceans confirmed on January 18th Hay Island will be opened to commercial sealers for the fourth year in a row. In early February, Cape Breton sealers can descend on the protected wilderness area, herd together and bludgeon to death thousands of defenceless baby grey seals. Hay Island, part of the Scaterie Island Protected Wilderness Area in Cape Breton, was the scene of a horrific mass slaughter in 2008 when Nova Scotia fishermen armed with crude wooden bats and boxcutters descended on the island and within just a few short days had bludgeoned to death over 1,260 grey seal pups just a few weeks old. The slaughter on Hay Island marked the first time the killing of grey seal pups in Nova Scotia was witnessed and documented by a third party. Humane Society International and Atlantic Canadian Anti-Sealing Coalition were present on the island and distributed to the public videotape evidence of the cruelty involved in the grey seal hunt. In 2009 the Minister of Environment again allowed commercial sealers to invade Hay Island with a quota of 2,200. HSI Canada and Atlantic Canadian Anti-Sealing Coalition were on stand-by to bear witness to the killing but DFO colluded with industry to conduct the slaughter in secret. That year, sealers could not locate buyers for the seal skins, so they slaughtered 250 pups for use as fabric swatches for alleged potential buyers. In the past, the NS Environment Minister could only authorize commercial seal hunting on Hay Island if he could show it was necessary to protect the biodiversity of the island. In response to critics' challenges as to the legality of the 2008 and 2009 hunts, and after being unsuccessful in proving the kill was necessary to protect fish stocks in surrounding waters, in December 2009 Nova Scotia's Environment/Fisheries Minister Sterling Belliveau rushed through with obscene haste legislation which amended the Wilderness Areas Protection Act to make it easier for him to permit seal hunting on the island. Not only was this bad news for seals; it set a dangerous precedent for any commercial industry to access our wilderness areas and provincial parks. Last year I, together with a representative from Humane Society International / Canada and Animal Alliance of Canada - met with Nova Scotia's Environment Minister Sterling Belliveau to ask that he cancel the 2010 Hay Island grey seal slaughter. He refused. He claimed to have studied the matter, yet did not even know the basics of the issue, had not reviewed the killing footage from 2008 and did not know that the method of killing was deemed inhumane in a recent report. He could not give a valid reason for allowing the slaughter to occur this year and it was obvious there was only one reason: a Cape Breton sealer wanted to kill baby seals. Happily, in the end, all grey seals on Hay Island were spared since sealers could not secure markets for their skins and the provincial government reneged on alleged agreements to give them financial support to enable a slaughter on Hay Island. Hay Island grey seals were saved in 2010. But they are once again under threat now in 2011. Next month, thousands of defenceless grey seal pups in the provincially-held Protected Wilderness Area will be savagely bludgeoned to death with clubs by a crowd of untrained fishermen who bitterly blame the seals for the sad state of fish stocks. 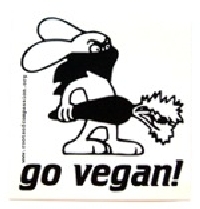 As a further insult to Canadians, our tax dollars will be used to fund the slaughter. DFO's own scientists and marine biologists are saying seal herds are stabilizing and their rate of growth has substantially slowed. Further, recent DFO reports show an actual increase in groundfish stocks in waters of the Scotian Shelf. Interestingly, Scotian Shelf waters are also teeming with the largest concentration of grey seals from Sable Island and Hay Island. With no global markets for seal products and evidence grey seals are helping fish stocks recover, it makes no sense for the government and sealers to kill grey seals en masse. So why are they doing it? Could it be a grudge match - a government that has long misled the public into thinking a hunt was "necessary" simply does not want to admit they were wrong, admit defeat and call it off? I write this with a heavy heart. 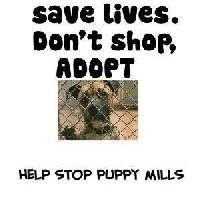 I was present on Hay Island three years ago and witnessed the horrific cruelty inflicted on the defenceless pups. What I saw and heard on that horrible day still haunts me. I know what fate awaits this year's pups, who are at this moment happily lazing in their nursery grounds, calling to their mothers and to each other, unaware of the impending horror that is about to begin. I know all too well the horror, and it breaks my heart. But we must not give up. 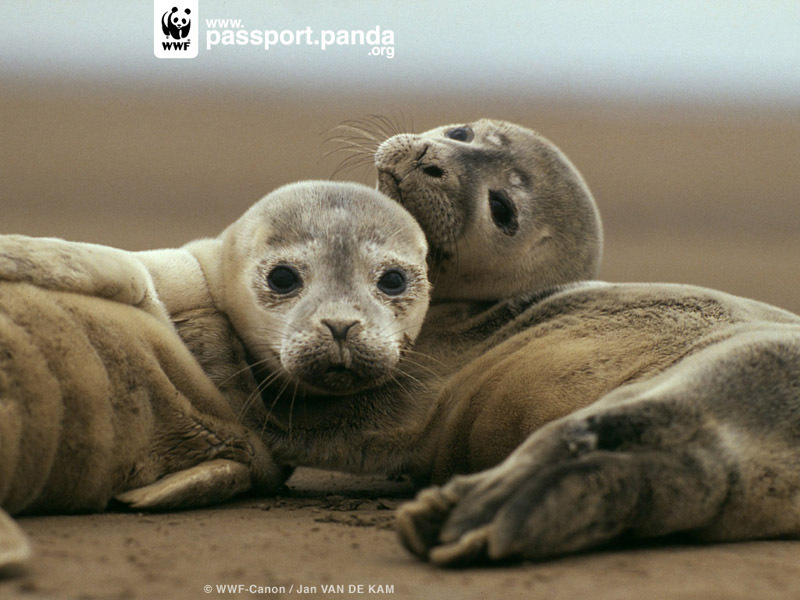 We WILL end the killing of grey seals in protected areas. 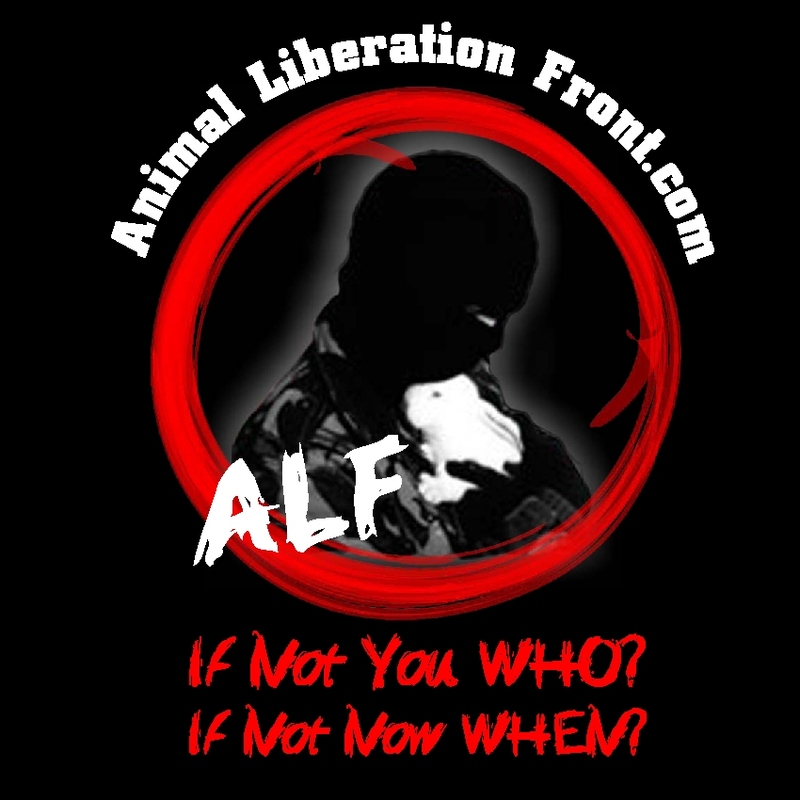 Please take action now to help us reach that goal." "China has agreed to buy seal meat and seal oil from Canada, according to the federal fisheries minister. "[We are] natural partners in the seafood industry," Fisheries Minister Gail Shea said Wednesday during a trade mission to China with Newfoundland and Labrador Fisheries Minister Clyde Jackman. Shea said the deal between Canada and China will be signed Thursday. "For the most part, our sealing industry derives its income from the sale of pelts," said Shea, in Beijing during a conference call with reporters. "They don't get a lot of return from the sale of meat and oil, but what we are hoping to do because China is such a large market is work with our industry to support them in developing new products … so there is a lot of optimism in the industry today." The price for seal pelts, which was at a high of more than $100 each a few years ago, sank to as low as $15 last year. Gail said it is not possible to say what the value of the deal is now. She said the market will determine that. Seal hunters in Eastern Quebec are welcoming the deal after the European Union imposed a ban on imports of Canadian seal products in 2009. Magdalen Islands Sealers' Association head Denis Longuépée says the deal will ease the financial losses for sealers brought on by the European ban. "With this signing this morning, we're happy that countries like China decided not to follow those other countries, and sign with Canada. The population is so high in China that if everybody buys some pelt or product from seal, we won't have to trade anymore with Europe. So it's good news for us," said Longuépée. The new deal covers edible seal products, but Longuépée believes it will stimulate sales of seal pelts as well. The International Fund for Animal Welfare denounced the agreement, calling the seal hunt cruel, and saying it plans to launch a campaign against it in China. Seal products from traditional Inuit hunts for subsistence are exempt from the ban, but Inuit groups challenged the general ban, arguing it would make it more difficult for them to sell their products. That argument was rejected in October by European Court of Justice Judge Marc Jaeger, who said the Inuit didn't provide evidence to justify their fears. 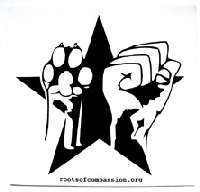 Animal protection groups applauded the decision. Earlier this year, the Canadian government said the ban is unacceptable. It’s pursuing a complaint at the World Trade Organization. Research by the federal Fisheries Department has found that the harp seal population of Atlantic Canada is now at between eight and nine million animals. A 2004 assessment of seal stocks estimated the harp seal population in the area at between 4.6 and 7.2 million. " "The late afternoon sun glinted off the ice floes drifting along the rugged Newfoundland coast, a postcard scene of pristine natural beauty and solitude. Blue-hulled fishing boats dotted the horizon, churning a path through the chill waters of the North Atlantic. But as the helicopter skimmed above the ocean towards them, the tranquillity faded fast. From the prow of a vessel ahead, a crewman took aim with a rifle and fired a single shot. About 50 yards away, a dark-skinned three-week-old harp seal reared its head, then flopped back down, spasming as its blood stained the ice where it lay. " Some sealers are expected to take to the water today as the commercial seal fishery resumes in the Gulf and on the Front, but the overall level of participation is expected to be low. The reason is not because of poor ice conditions, but markets, with few buyers. Frank Pinhorn of the Canadian Sealers Association says it'll be a year or two before the situation improves. He says most buyers still have inventory from past years when pelt prices were very high. Pinhorn says there is no doubt the EU ban on the import of seal products is also having an impact. "HALIFAX, N.S. - Boats began leaving Wednesday for waters off Labrador and the start of a seal hunt that experts say could bring in a record low number of animals due to dwindling demand and disappearing markets. About two dozen large fishing boats were expected to be on the so-called Front off Newfoundland's northern tip for Thursday's start of the annual hunt. Sealers reported good ice and a robust seal population in the area. However, Frank Pinhorn of the Canadian Sealers Association predicted they would take a fraction of the annual quota because only one of the four regular purchasers is buying harp pelts this year. "I'd say about 25 to 30 big boats will go out and they'll probably bring in 50,000 to 60,000 out of the 335,000 quota," Pinhorn said Wednesday from Conception Bay South, N.L. "We're not realizing the quota because we can't." Sealers say they can't possibly reach the top end of the quota because there is little demand for pelts since producers are stuck with a hefty backlog of substandard pelts caught several years ago. " Since last year, slumping market conditions have kept Jack Troake's sea legs planted firmly on dry land, away from the ice floes carrying seals off Newfoundland. The veteran fisherman from Twillingate, N.L., said he doesn't intend to head out this year, either, despite an increase in the allowable catch for the East Coast commercial seal hunt. "To us sealers, it sounds a little stupid," said Troake, who has more than 50 years' experience hunting seals. The Department of Fisheries and Oceans announced Monday it's increasing the hunt's quota by 50,000 harp seals. But Troake said there's no sense in raising the quota now, given a market where seals only fetch about $15 each - a steep drop from the record $105 per pelt in 2006. Fishermen, he said, had trouble meeting quotas back when they were pocketing $100 a seal. "If the seal fishery takes off again and if everything's in our favour, then it's hard for them to justify cutting back. That's one positive side to it, I guess," he said Tuesday. "But as for now, it's no good to us." Last year, 74,581 harp seals were killed out of a total quota of 280,000, according to the department. 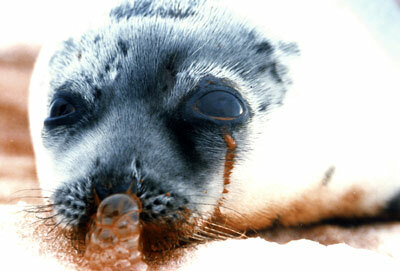 In 2008, 217,857 harp seals were taken from that year's quota of 275,000. "We don't go at this because we love doing this," Troake said. "You gotta look at the economics of it. We do this to put the food on the table and keep the old roof from leaking." Seal hunt opponents said upping the quota is one in a series of political stunts that began last May when Gov. Gen. Michaelle Jean sampled a slice of raw seal heart in Rankin Inlet. Then there was "Senator Celine's seal slush soiree," said Bridget Curran, director of the Atlantic Canadian Anti-Sealing Coalition. Last Wednesday, MPs and senators of all stripes chowed down on bacon-wrapped seal loin at a headline-grabbing luncheon on Parliament Hill. The event was organized by Liberal Senator Celine Hervieux-Payette to show support for the sealing industry, which is facing a European Union ban on seal products. "They're thumbing their nose at Canadians and to the European Union," said Curran. "It's pure political posturing. "They're making these gestures to sealers to keep them sweet because they want the Atlantic Canadian fishermen's votes." But federal Fisheries Minister Gail Shea said the decision to boost the quota, like all matters concerning the hunt, was based on "science and fact." "Criticism regarding our government's support for the Canadian seal hunt, including increasing the TAC (total allowable catch), is a bit rich coming from special interest groups who continue to cloud this issue with misinformation," said Shea in an email. Shea said the harp seal population is estimated at 6.9 million - more than three times what it was in the 1970s. This year's higher quota puts the allowable catch for harp, hooded and grey seals at 388,200. As in the past, about 70 per cent of the quota is allocated to fishermen working in the waters northeast of Newfoundland and Labrador - an area known as the Front - while the Gulf of St. Lawrence receives the rest. Curran said opening the hunt with a higher quota is irresponsible considering the poor ice conditions in the Gulf. Even some fishermen have said the conditions are so poor that they may not venture out to hunt. Environment Canada said Tuesday the ice cover in the Gulf is the lowest since it began keeping records, which dates back to 1969. The Gulf is normally about 80 to 90 per cent ice-covered at this time, but the ice cover this winter is closer to five per cent. The situation is similar off Newfoundland, where ice has only formed off the tip of the Northern Peninsula. Ice typically extends as far south as the approaches to St. John's this time of year. Sea ice is vital to the life cycles of seals in the North Atlantic. During late winter, harp seal females deliver their pups on ice floes, and early ice breakup could increase mortality rates. The federal government has not announced a start date for the seal hunt in the Gulf or the Front, though it usually begins this month. That's the reply to seals deffenders from Canadian government which annouced the quota on 15th March "The Canadian government announced that it would allow hunters to kill even more harp seals for their fur than last year — 330,000. This quota is all the more outrageous because Canada knows that many baby seals are likely to perish because of melting ice before the sealers even arrive" says IFAW. "Uncertainty about whether the seal hunt will go ahead, and questions about who will buy pelts if it does, may make the federal government's announcement that it has increased the quota for this year's East Coast seal hunt meaningless, sealers say. "We're hoping for the best but up until now we have no indication if anyone is buying and what kind of price they are willing to pay," said Frank Pinhorn, executive director of the Canadian Sealers' Association, in Newfoundland. The Department of Fisheries and Oceans has increased this year's harp seal quota by 50,000 animals, bringing the total allowable catch for harp, hooded and grey seals to 388,200. This year's harp seal quota includes an allocation of 20,000 seals to support three projects proposed by the sealing industry that the department says aim to make the fullest possible use of the hunted animals. Federal Fisheries Minister Gail Shea says the population of harp seals is about 6.9 million, more than triple what it was in the 1970s. As in the past, about 70 per cent of the quota is allocated to fishermen working in the waters northeast of Newfoundland and Labrador, while the Gulf of St. Lawrence gets the rest. There have been numerous reports in Atlantic Canada of seals giving birth to pups near shore this year because warm weather has left the Gulf of St. Lawrence largely devoid of ice, where seals normally have their pups. Earlier in March, Shea said there might not be a seal hunt in the gulf because of poor ice conditions. But Pinhorn said fishermen are telling him that there is sufficient ice in the gulf to go ahead with a hunt this year. The gulf hunt usually takes place in late March. The hunt off Newfoundland's northeast coast usually happens weeks later. " PARIS — Canadian parliamentarians are engaged in "gastronomic cruelty" by heading to the fine dining tables of Parliament Hill's exclusive restaurant Wednesday to show solidarity with Canada's embattled sealing industry, says an anti-sealing lobby group. Liberal Senator Celine Hervieux-Payette is hosting a lunch for 30 MPs and senators from all four parties who will feast on "double smoked bacon-wrapped seal loin" along with a "medley of organic beets, carrots and turnips," a "port reduction" and "Yukon gold potato pave." The International Fund for Animal Welfare's Brussels office attacked not just the seal hunt, but also the very idea that seal meat could be the central part of a gourmet meal. "The fact that the meat is only being consumed for political purposes, and that it needs to be wrapped in double smoked bacon to kill the taste, clearly demonstrates that it is not particularly palatable," the IFAW said in a news release. The organization tried Wednesday to discredit both Canada and Norway, the two countries that have launched challenges before the World Trade Organization to reverse the European Union ban on seal product imports. Norwegian officials, according to media reports, are investigating allegations that trigger-happy Norwegian sealers illegally used assault rifles to spray bullets at baby seals during the 2009 hunt. The IFAW used that allegation to tarnish Canada's much-larger hunt that is scheduled to begin this month, the last annual hunt to take place before the EU ban goes into effect in August. "The EU ban was conceived to fight exactly the kind of cruelty that has been found in Norway," according to the IFAW's Lesley O'Donnell. "However, we never expected the ban to inflict the kind of gastronomic cruelty we're seeing in Canada, as desperate politicians trip over each other to eat seal meat in highly publicized media stunts." IFAW spokesman Adrian Hiel said his lobby group's "not particularly palatable" dig at seal meat — the bacon wrap is apparently intended to provide some moisture to a very dry meat — wasn't intended to insult members of the Inuit community who have relied on seal meat as an important part of their diet. Nor was it a suggestion that Gov. Gen. Michaelle Jean, who last year ate a slice of raw seal heart in Rankin Inlet and said it tasted "like sushi," was hiding her true feelings. "Taste is ultimately an individual trait and I certainly wouldn't accuse Ms. Jean of lying," Hiel wrote in an e-mail which described seal meat as a "readily available source of food" for Inuit "and a logical and natural part of their diet." But, he said the federal parliamentarians, to be joined by Quebec, Newfoundland and Nunavut officials as well as Miss Newfoundland and Labrador Sara Green, are simply mugging for the cameras. "I suspect that none of the guests to today's lunch has ever served seal in their own home. If seal meat tasted any good there wouldn't be thousands of carcasses left on the ice every year from the commercial seal hunt." The federal Department of Fisheries and Oceans, according to Hiel, has tried "for years to develop a market for seal meat in various forms including pepperoni or sausage — it's never worked." OTTAWA — Liberal Senator Mac Harb says he was expecting to get heckled and booed Tuesday in his latest attempt on Parliament Hill to end the commercial seal hunt in Canada. But Harb said he won't let that stop him from his efforts to try again. "I've got thick skin," said Harb, who also introduced legislation last year that immediately died when he failed to get another senator to second his proposal. He suggested that the support for the hunt from both the governing Conservatives and his own Liberals is based on "political opportunism," that will backfire since Canada's largest trading partners are banning imports of seal products from the hunt. At a joint news conference with Harb, the Humane Society International/Canada and a climate scientist, Cynthia Tynan, also urged the government to immediately cancel the 2010 seal hunt because of dwindling ice this year off the east coast of Canada that is at its lowest level on record. The warnings are part of a political seal war on the Hill, with almost all the rest of politicians supporting the hunt, and endorsing plans by the parliamentary restaurant to serve seal meat at lunchtime on Wednesday. Federal Fisheries Minister Gail Shea has also criticized Liberal Leader Michael Ignatieff for not stopping Harb from trying to introduce the legislation. "It is very unfortunate that the Liberal leader is allowing a member of his caucus to attack the seal hunt at a time when all Canadians should be united behind our sealers and behind our northern and coastal communities," Shea said in the House of Commons on Monday. "I would also encourage the Liberals to take a clear stand on this issue. If they support Canadian coastal communities, then please stand up for them." Shea added that the government would continue to defend the hunt and fight to improve market access and develop new markets for Canadian seal products. 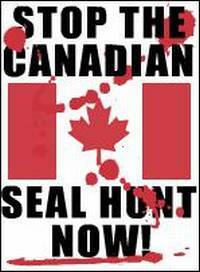 Senator Harb is the first Canadian parliamentarian in history to introduce a bill to prohibit the commercial seal hunt. He will reintroduce his historic bill later in the day. "A responsible government would not only cancel the 2010 seal slaughter, it would respect the views of the overwhelming majority of Canadians and end the commercial seal hunt for good," Senator Harb said. Senator Harb's bill (S-207) is an amendment to the Fisheries Act and would prohibit the commercial hunting of seals in Canadian waters, while protecting the rights of aboriginal peoples to hunt seals. (…) The bill was seconded by Conservative Senator Lowell Murray, but did not pass the vote that would allow the bill to be debated. (…) Bill S-207 would provide a way to transition out of sealing at a time when the industry is economically unviable. Seal pelt prices in 2009 were the lowest in recent memory, and worldwide demand for seal fur remains low. An analysis published in the journal Marine Policy earlier this year determined that ending Canada's commercial seal hunt would save Canadians a minimum of $6.9 million per year. More than 650,000 Canadians have signed petitions and sent Harb notes of support, he said. Fisheries Minister Gail Shea said there are no plans to stop the sea hunt. “The ice conditions in the Gulf of St. Lawrence are some of the worst observed in recent memory, however, the seal herd remains healthy and we expect the hunt to go ahead,” she said in an e-mail statement. The government is working with industry to determine the timing, locations and size of the hunt, Shea said. OTTAWA — Seal meat in a special port sauce. That’s what Celine Hervieux-Payette and 30 of her friends plan to sample next week. The senator from Bedford, Que., and 30 guests will tuck into the first seal meal served in the posh parliamentary dining room. But while the meat made famous by the governor general — who noshed on it during her Arctic trip last year — is approved for the restaurant, it won’t be on the regular menu. “Seal meat is not readily accessible; it’s something that has to be planned for,” said Heather Bradley, spokeswoman for House of Commons Speaker Peter Milliken. Nor is it always in season, she added. Hervieux-Payette, who recently participated in a seal hunt in Nunavut, requested that chef Jud Simpson rustle up a seal lunch. Invitations have gone to fisheries critics of all parties and other dignitaries. Hervieux-Payette acknowledged it’s difficult to get a regular supplier. The choice of seal will prove controversial for those who oppose the yearly seal hunt. The European Union has banned imports of seal products including skins and meat. She said she would be delighted to serve it to her European friends one day. The grey seal hunt on Hay Island, off eastern Cape Breton, will not go ahead this year. The season on Hay Island opened Feb. 8, but bad weather prevented sealers from setting out. Now they say couldn't get help from the Nova Scotia government with getting seal products ready for a buyer. Hay Island is part of the Scaterie Island wilderness area off Cape Breton. Greg Roach, associate deputy minister of the Fisheries Department, said the government is prepared to help sealers in Cape Breton develop new markets. But this won't happen in time for the hunt on Hay Island this spring, he said, where the federal Fisheries Department has set a quota of 2,200 animals. "The objective is to expand into Asia, to look at markets for all the grey seal products like fur, maybe some leather, other pelt products and meat products," Roach said. The best opportunities are likely in Asia, he said, where there's little opposition to the seal hunt. "Well, it's my understanding, and from my observation, that when you get into China, the issue of proper resource management would trump the emotional concerns of some anti-sealing groups," Roach said. "And the Canadian harvest is managed very carefully, cautiously and conservatively." Groups that oppose the seal hunt are happy that the hunt on Hay Island isn't going ahead. The Humane Society International said markets are shrinking as more countries boycott seal products. 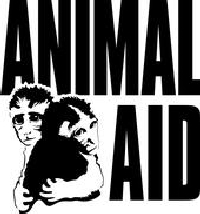 The post was written by the International Fund for Animal Welfare's Senior Research and Projects Specialist Sheryl Fink, who is based in Guelph, Ontario. An almost total absence of ice in the Gulf of St. Lawrence this year is likely to spell trouble for harp seals. According to Environment Canada data, such a severe lack of ice has not been observed in eastern Canada in the past 30 years. Such a profound shortage of breeding habitat will have undoubtedly have a lethal effect on harp seal pups t his year. Historically this is the week when harp seals begin to give birth to their pups in the Gulf of St. Lawrence. The adults seals have migrated southward, some 4500 kilometers from their summer Arctic home, to congregate on the ice, give birth, and nurse their pups. Unlike other species such as grey seals, harp seals almost never haul out on land. They require a solid, stable ice platform on which to give birth and nurse their pups. Incredibly, nature has prepared these animals for temporary shortages of ice, and mothers may withhold giving birth for up to two weeks. When they find no ice in the traditional birthing areas, they will swim elsewhere in search of ice. There is hope that some may find it in the Northern Gulf and give birth there, or off the coast of PEI. Some mothers may return northward, back to the Front off the east coast of Newfoundland, to give birth on the ice there. But at some point the pups must be born, and without any ice, many mothers will be forced to abort their pups in the water. This is not the first time such conditions have occurred, and the increase in the number of below-average ice years experienced recently is startling. Ice conditions in eastern Canada have been below normal for the past 16 years now. While one year of bad ice may not spell disaster for the harp seal population, the cumulative effect of increased pup mortality in several bad ice years is likely to have significant consequences for the population. Unfortunately, these effects may not appear in the government’s seal surveys until it is too late. In light of the deteriorating ice conditions and loss of critical breeding habitat, the responsible thing for the Government of Canada to do would be to end the commercial seal hunt. IFAW has always called for an end to Canada’s commercial seal hunt on the basis that it is inhumane and unnecessary. But if the end is brought about by climate change, habitat loss, and the premature death of seal pups, there will be no reason to celebrate. Instead, we will be mourning the destruction of yet another magnificent wildlife species, facilitated by Canada's Department of Fisheries and Oceans. SYDNEY, Nova Scotia — Sealers in Cape Breton, Nova Scotia, have confirmed to Canadian media that a grey seal hunt on Hay Island is highly unlikely to occur in 2010. The slaughter officially opened on Feb. 8, but complications in selling the seal products have resulted in the hunt likely being cancelled. While details are unclear, the Nova Scotia government has confirmed it was working with sealers to develop markets for seal products, and it appears the government may have been prepared to provide some financing for the deal. "Just days ago, we visited Hay Island and its amazing seals, and we were heartbroken to think that sealers could arrive any time to beat the defenseless pups to death with wooden bats," said Rebecca Aldworth, executive director of Humane Society International/Canada. "It is wonderful to know that there is a strong chance these charismatic, beautiful pups will be spared from this horrific slaughter. It is appalling to learn that the Nova Scotia government was investing time and public money in its misguided attempt to exterminate grey seals." We will gather and will be outside the Art Gallery as usual. Unfortunatelly we will NOT be able to have Sparky with us. Parks and Recreation of Vancouver will not allow it and I can't take Sparky to the street either, because it is can get confiscated. Also, we will not have a rally this year, because it will be crazy that day in downtown on the last day of the Olympic games, with thousands of people on the street. But, we will have a peaceful and very friendly demo and we will hand out LOTS of fliers, buttons, pins and stickers to the people visiting Vancouver. Come and join us. We will be more busy than ever handling fliers, postcards, pins and stickers while explaining the tourists about the seal hunt in Canada. It will be fun! 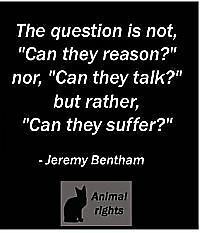 (and if you don't want to talk, you can just stand there with a placard :-)). So see you then and pls. bring your family and friends too! HALIFAX — Seal hunters are expecting the time they spend off Cape Breton this year will be much more lucrative than the last. They have found a buyer for the full quota of 2,200 seal pelts for the Hay Island hunt, Robert Courtney of the North of Smokey-Inverness South Fishermen's Association said Sunday. Courtney wouldn't identify the buyer or disclose how much per pelt the sealers would get, although he said it would be more than the $17 they received last year. Only 200 pelts were sold last year, even though Fisheries and Oceans Canada had approved a quota of 2,500. It's believed a Newfoundland company, New Tan Furs Inc., bought the pelts as a gesture of support to the sealers. Courtney attributed the full-scale hunt this year to the rebounding economy. Thirty-nine men have signed up for the hunt, but only 20 are allowed on the small island at one time, he said. The hunt was scheduled to begin Monday, but the sealers were still in the process of getting vehicles and equipment ready and didn't anticipate a start until mid week. An anti-sealing organization plans to film the hunt and distribute the images to encourage a tourism boycott, a spokeswoman said. Bridget Curran of the Atlantic Canadian Anti-Sealing Coalition observed the hunt in 2008, when Hay Island first was opened for commercial sealing. Sealers are prohibited from using guns on the small island, so they use clubs to kill the seals. Curran said she saw sealers herd the animals into a group before killing them, a practice that has been condemned as inhumane by agencies such as the European Food Safety Authority, Curran said. "What I witnessed on Hay Island was the most horrific thing I've ever seen in my life." Last fall, the coalition disrupted a legislature session to protest the Dexter government's decision to allow the Hay Island seal hunt. The island is part of the Scaterie Island wilderness area. The province had to amend the Wilderness Areas Protection Act to allow the hunt. Ecotourism activities such as seal watching would stimulate the economy more so than the seal hunt, Curran said. Last week, the coalition asked Sterling Belliveau, the provincial minister of fisheries and the environment, to cancel the hunt, but he refused, she said. Curran said changing the wilderness protection law sets a dangerous precedent. "That land belongs to all Nova Scotians. It's part of our heritage and our culture. I think it's abysmal that the government handed over our land to commercial industry just to buy the votes of Nova Scotia fishermen."